Why do we like these nice, round numbers? I have the post-Caribbean, beach-sandy, good food-tasting vacation blues. But life goes on and I'm already back at it and all that. And all the it and that that comes with it. 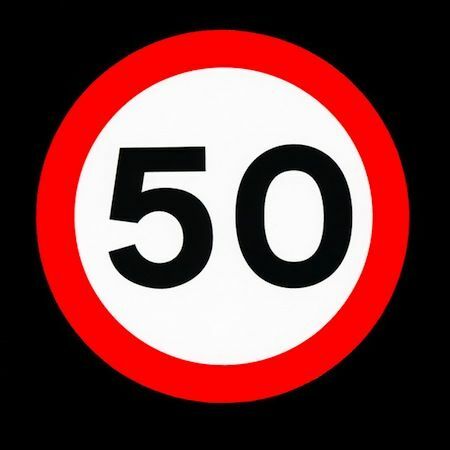 So... number 50. Nothing special. Other than the standard of excellence in fine playlist craftsmanship you've come to love and expect from me. There's a reason for each and every one of these songs that sprouts from the last week in a variety of significant and insignificant ways. In the last six days, I've traveled 6,732 miles (I looked it up--be impressed) for both business and pleasure. I saw things and met people and encountered the odd and the beautiful and the foreign and the perfect and the spiritual and the seemingly but not actually random and I'm tired but restless and want to do it again as soon as possible even though the thought of doing anything at the moment sounds crazy. I kinda love this playlist a little more for my own reasons whose specifics I'll never bore you with. It wasn't until after it was done that I realize it was the big 5-0. Qué suerte. Press play. iPad, iPhone, and other smart phone users, click here to play the playlist.